In the lettings industry it is not compulsory to be regulated, however, Chelton Brown takes every step possible to ensure our tenants and landlords have confidence in our abilities as a letting agent. Chelton Brown is ARLA regulated, a registered SAFE agent and a member of TDS. We work to raise professional standards among letting agents from single branch independents to large national groups, promoting education and qualifications within the sector. Nearly 9,000 letting agents are ARLA Propertymark Protected, meeting higher standards than the law demands and through this we offer greater protection to consumers. There are several schemes in the sector operated by ARLA, the Law Society, NALS, RICS and UKALA to which agents voluntarily belong. These schemes are run by recognised industry bodies or organisations operating in the private rented sector to provide accreditation and/or regulation. They are completely independent from the letting agent and they don’t act on behalf of, or have a duty of care to the participating firm. The Housing Act 2004 requires landlords and letting agents to protect deposits on assured shorthold tenancies in a scheme such as TDS. TDS provide insurance backed tenancy deposit protection with free, impartial dispute resolution for when disagreements arise over how the money is divided. 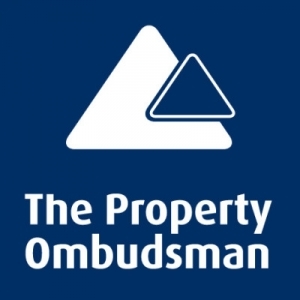 The Property Ombudsman (TPO) scheme has been providing consumers and property agents with an alternative dispute resolution service since 1990. The Ombudsman’s resolutions are designed to achieve full and final settlement of the dispute and all claims made by either party. The Ombudsman can, where appropriate make compensatory awards in individual cases up to a maximum of £25,000 for actual and quantifiable loss and/or aggravation, distress and/or inconvenience caused by the actions of an agent. ARLA are the professional self-regulating body to be solely concerned with lettings and letting agents. The Association of Residential Lettings Agents (ARLA) is a professional membership and regulatory body for letting agents and letting agencies in the UK. Membership of the Association is through formal qualification ensuring that ARLA member agents have the knowledge and experience to guide you through your property transaction as smoothly and painlessly as possible. Operating under strict rules of conduct, members must meet certain standards relating to professional and ethical practice. Under the rules, agents are required to protect and promote their client's interests, while at all times acting in a fair and proper manner. If you are unfortunate enough to suffer at the hands of malpractice by an ARLA letting agent, the Association can take disciplinary action on your behalf. That the agency is covered by a Client Money Protection (CMP) Scheme. ARLA have the ability to make discretionary grants (up to pre-set limits) if you suffer financial loss due to the bankruptcy or dishonesty of the member and/or their firm. To be consulting with a qualified and trained agent who can give you professional up-to-date advice and guidance. All our members are required to carry out at least a minimum level of Continuous Professional Development (CPD) each year and many do more. A route to redress should something go wrong. It is a mandatory requirement that all our members belong to an independent redress scheme, the choice being either the Ombudsman Services: Property or the Property Ombudsman Service. The Property Ombudsman Service can award payments of up to £25,000. As a member of ARLA, Chelton Brown has chosen to belong to the Property Ombudsman Service. The Property Ombudsman provides a free, fair and independent service for dealing with unresolved disputes between sales and letting agents who have joined, and consumers who are actual or potential buyers or sellers or landlords or tenants of residential property in the UK. The Ombudsman is totally independent of agents and reports directly to the TPO Council which has a majority of non-industry members. The Ombudsman's role is to reach a resolution of unresolved disputes in full and final settlement and, where appropriate, make an appropriate award of financial compensation or other action for example make an apology. Therefore, if you feel that you have been disadvantaged by the actions or inactions of a member, you have access to an independent dispute resolution service and can be certain of receiving a fair and reasonable judgment of your complaint. The Ombudsman will not normally review a case until the internal complaints procedure of the agent has been exhausted. 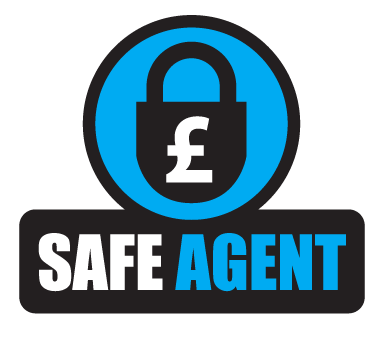 SAFE – Safe Agent Fully Endorsed – is a mark denoting firms that protect landlords and tenants money through a client money protection scheme. Landlords and tenants often make decisions based on cost but it is important to ensure you ask your agent for details of the organisation they are regulated by and whether or not they are covered by a client money protection scheme. All agents who are part of ARLA/NAEA, the Law Society, NALS and RICS maintain and operate separate designated client accounts where your money is held completely separate from the operating funds of the firm. If the agent you are using cannot provide you with the assurance of knowing they are covered by a client money protection scheme the question you need to ask is why not? Many tenants in the private sector give their landlords a deposit against possible non- payment of rent or damage to property. When a tenancy comes to an end, there is usually no disagreement about the return of the deposit. But sometimes there is, and this can cause much hardship and inconvenience to both landlord and tenant. The Dispute Service is an independent, not-for-profit, company established in 2003 to resolve tenancy deposit disputes in the private rented sector. We operate the Tenancy Deposit Scheme in accordance with the requirements of the Housing Act 2004. This provides a dispute resolution service should a dispute about the allocation of a deposit arise at the end of the tenancy. The Tenancy Deposit Scheme (TDS) has been developed to ensure that the deposits are protected and that disputes about their return are resolved swiftly, inexpensively and impartially. Deposits will be protected during the tenancy. Where there is no dispute at the end of the tenancy, deposits will be returned promptly. Where there is a dispute about the return of the deposit it will be dealt with fairly by the Independent Case Examiner (ICE). The ICE will make his decision quickly, and the deposit will be paid out without unnecessary delay.